Jay Chou and Seth Rogen in "The Green Hornet." Seth Rogen and Jay Chou in "The Green Hornet." 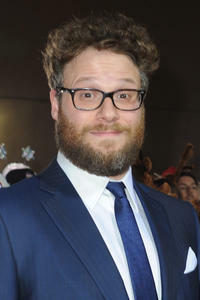 Seth Rogen at the California premiere of "Funny People." Seth Rogen and James Franco in "Pineapple Express." 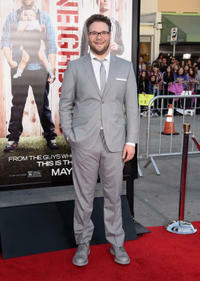 "Superbad" star Seth Gordon at the Hollywood premiere. Seth Rogen, Jonah Hill, Michael Cera and Evan Goldberg on the set of "Superbad." Two clueless cops, Officer Slater (Bill Hader) and Officer Michaels (Seth Rogen) in "Superbad." Seth Rogen, Christopher Mintz-Plasse and Bill Hader in "Superbad." Seth Rogen, Bill Hader and Christopher Mintz-Plasse in "Superbad." 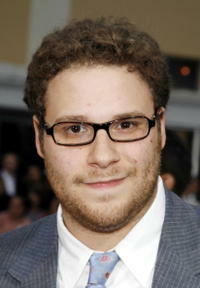 Seth Rogen at the Hollywood premiere of "You, Me & Dupree." 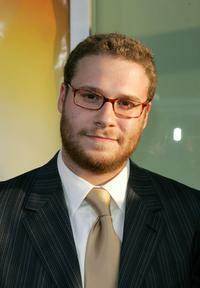 Seth Rogen at the L.A. premiere of "Knocked Up." 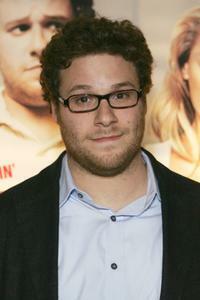 Seth Rogen at the Australian premiere of "Knocked Up." 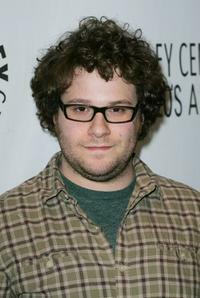 Seth Rogen at MTV's Total Request Live in N.Y.
Seth Rogen at the Hollywood premiere of "The 40 Year-Old Virgin." 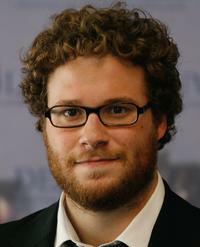 Seth Rogen at a photocall for The 40-Year Old Virgin at the 31st Deauville Festival Of American Film in France. 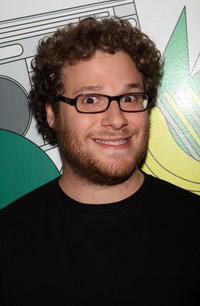 Seth Rogen backstage during MTV's Total Request Live at the MTV Times Square Studios. 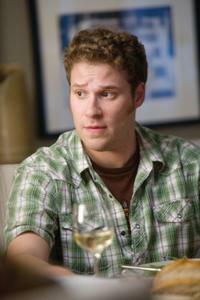 Seth Rogen as Andrew Brewster in "The Guilt Trip." 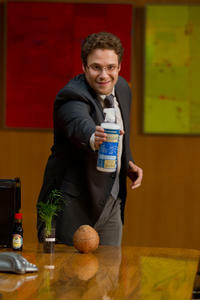 Joseph Gordon-Levitt and Seth Rogen in "50/50." 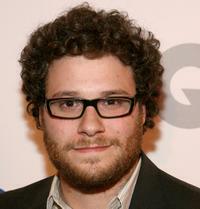 Seth Rogen as Ira in "Funny People." Seth Rogen as Ira and Adam Sandler as George in "Funny People." Adam Sandler as George and Seth Rogen as Ira in "Funny People." Seth Rogen as Ira and Aubrey Plaza as Daisy in "Funny People." 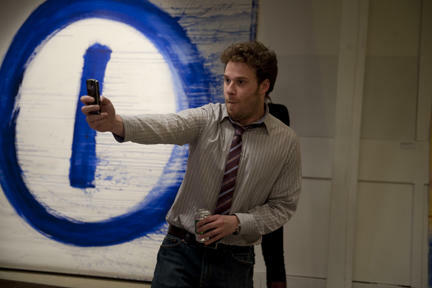 Seth Rogen as Ronnie and Collette Wolfe as Nell in "Observe and Report." Anna Faris as Brandi and Seth Rogen as Ronnie in "Observe and Report." 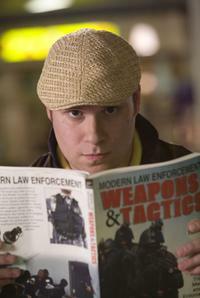 Debra-Jayne Brown as a reporter and Seth Rogen as Ronnie in "Observe and Report." Director Jody Hill and Seth Rogen on the set of "Observe and Report." 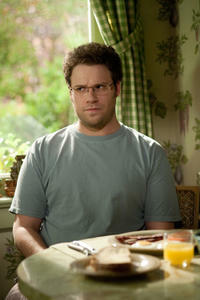 Celia Weston as Mom and Seth Rogen as Ronnie in "Observe and Report." 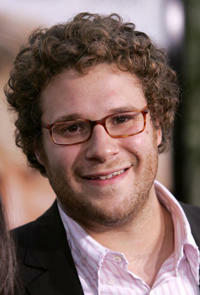 Seth Rogen as Ronnie in "Observe and Report." 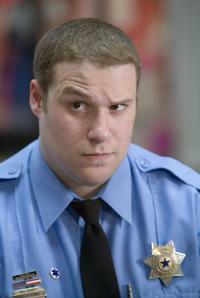 Seth Rogen as Ronnie and Ray Liotta as Detective Harrison in "Observe and Report." Adam Sandler and Seth Rogen in "Funny People." 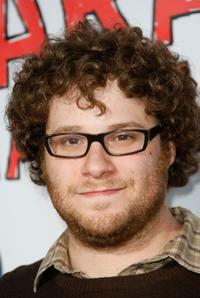 Seth Rogen voices B.O.B. 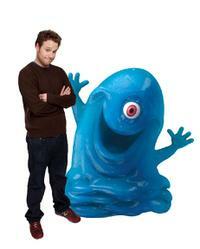 in "Monsters Vs. Aliens." 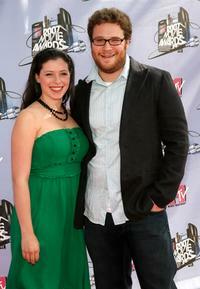 Seth Rogen at the 2007 MTV Movie Awards. 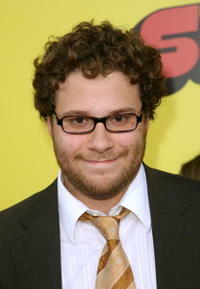 Seth Rogen at the Spike TV's First Annual "Guys Choice." 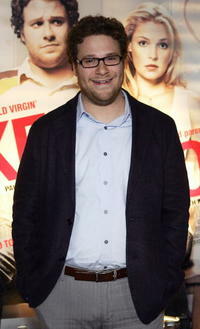 Seth Rogen at the Sydney premiere of "Knocked Up." Judd Apatow and Seth Rogen at the photocall of "The 40-Year Old Virgin" during the 31st Deauville Festival Of American Film. 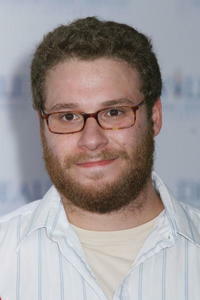 Seth Rogen at the Hollywood premiere of "The 40-Year Old Virgin." 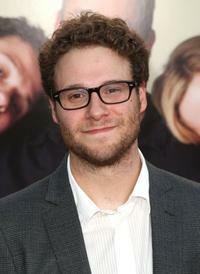 Seth Rogen at the photocall of "Knocked Up" during the 33rd Deauville American Film Festival. 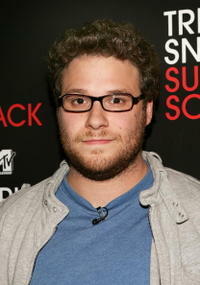 Seth Rogen at the photocall of "Knocked Up" during the 33rd US Film Festival. 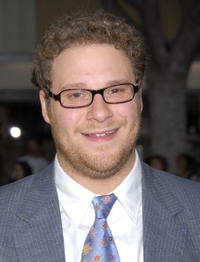 Seth Rogen at the Hollywood premiere of "Forgetting Sarah Marshall." 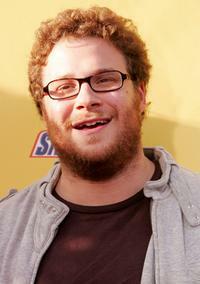 Seth Rogen at the Comedy World of Judd Apatow. 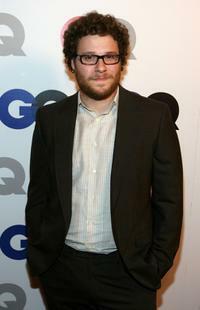 Seth Rogen at the GQ 2007 Men Of The Year celebration. 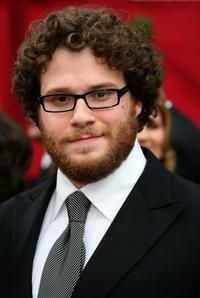 Seth Rogen at the 80th Annual Academy Awards. 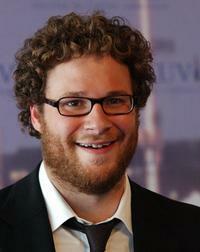 Seth Rogen at the California premiere of "Neighbors." 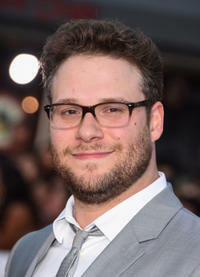 Seth Rogan at the California premiere of "The Night Before."